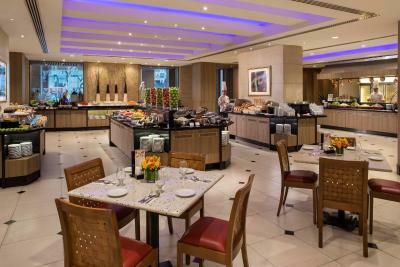 Lock in a great price for Carlton Hotel Singapore – rated 8.8 by recent guests! Everything about this hotel is good. 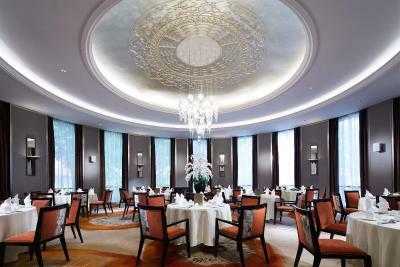 One of the best 4* hotels in Singapore. 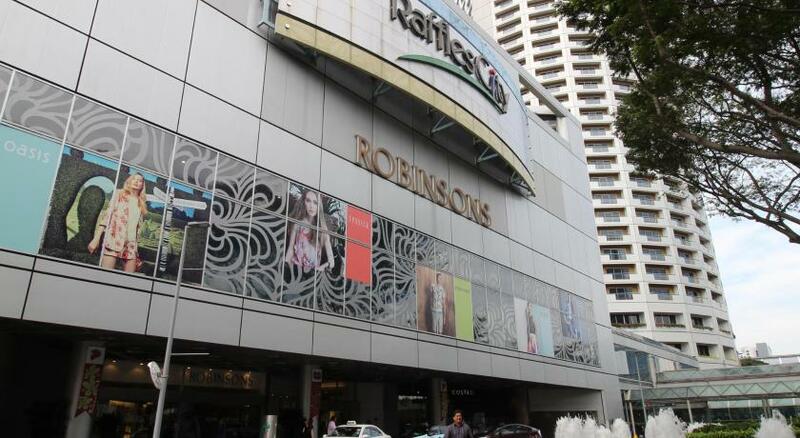 Great location - opposite raffles and chijmes, near shops and bars. Large room. Nice decor. Full functions, even a free mobile phone. Great location. Check in and check out were a breeze. There was an iron and ironing board, which I always appreciate. The location was excellent. The staff could not have been nicer or more helpful. The pool and gym were spacious and clean. The beds and pillows were comfortable and the room was quiet. Excellent modern room with appropriate amenities; at the center of everything. Really loved the stay. Everything else was too notch. Beautiful facility and great location. 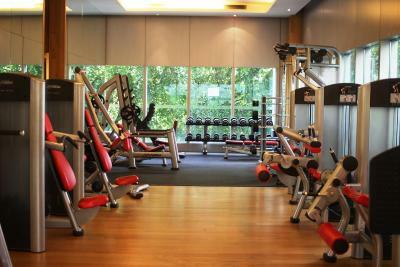 Carlton Hotel Singapore This rating is a reflection of how the property compares to the industry standard when it comes to price, facilities and services available. It's based on a self-evaluation by the property. Use this rating to help choose your stay! 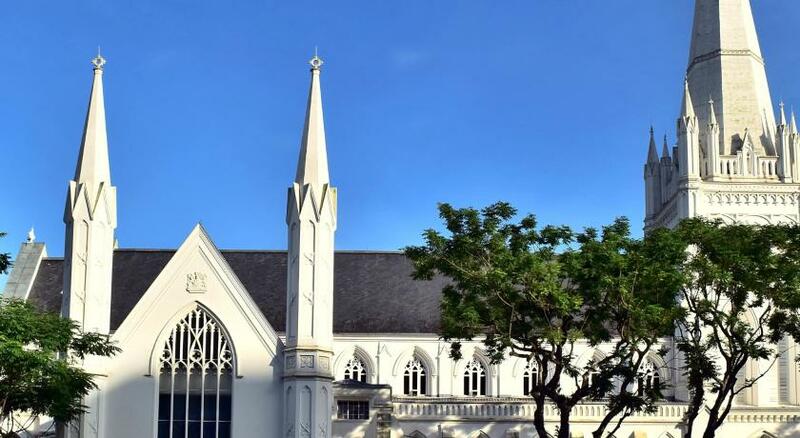 One of our top picks in Singapore.Strategically located in the heart of City Hall along Bras Basah Road, Carlton Hotel offers accommodations in Singapore. It features an outdoor swimming pool and guests can enjoy meals at 2 in-house dining options. Free WiFi is available throughout the property and there is complimentary parking for one vehicle per room on site. 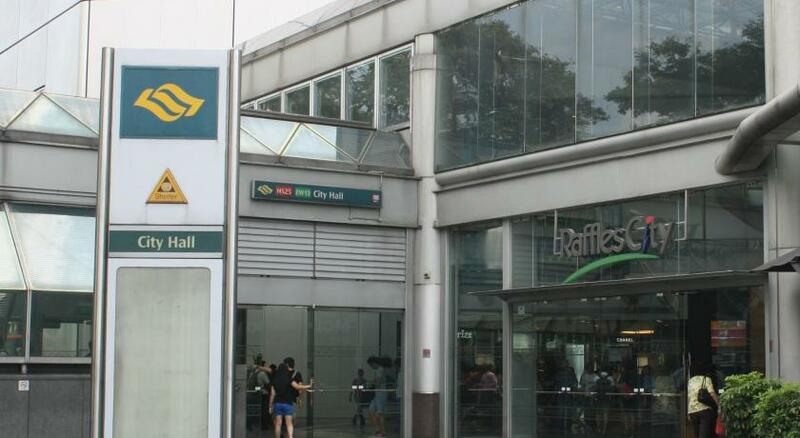 It is 700 feet to Bras Basah MRT Station, while City Hall MRT Station and Raffles City Shopping Center are 1,300 feet away. 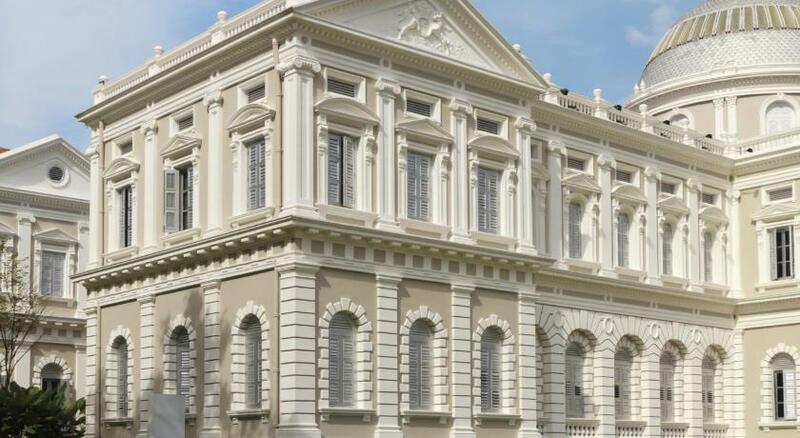 National Museum Singapore is 1,800 feet from Carlton Hotel Singapore. 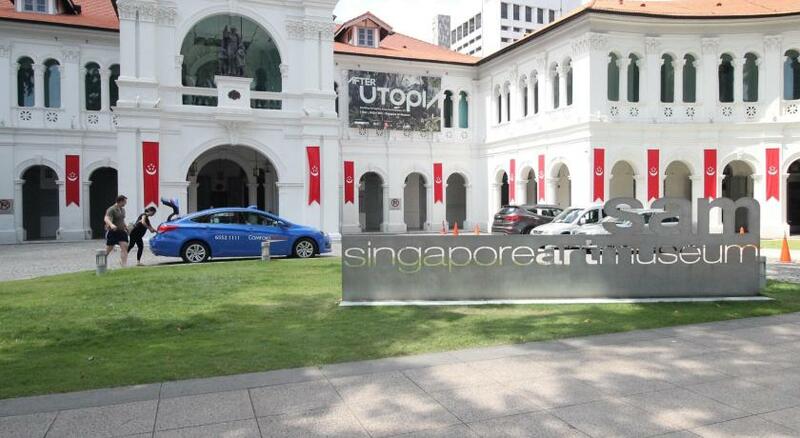 National Gallery Singapore is 2,300 feet from the property. 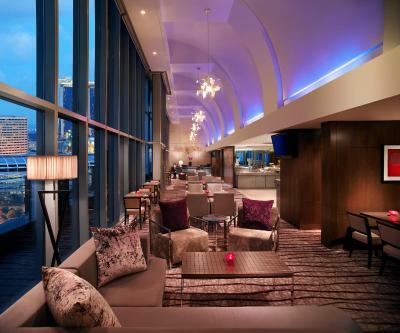 Suntec Singapore Convention Center and Esplanade – Theaters on the Bay are 2,800 feet away. Sans Expo and Convention Center is 1.7 mi from the property. Changi International Airport is 12 mi away. 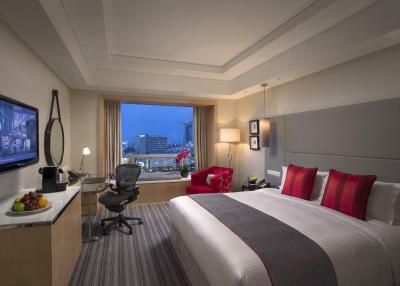 Air-conditioned contemporary-style rooms are located over 3 wings and offer different views of the city. 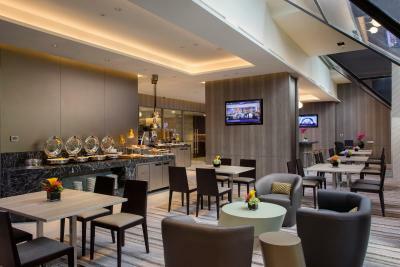 Some units offer access to the Club Lounge. Each is equipped with a cable TV, mini-bar and ironing facilities. Tea/coffee making facilities are also included. Private bathrooms have a bathtub. Guests enjoy complimentary use of a personalized smartphone that provides 4G mobile internet, local calls and calls to selected international countries. PressReader, an e-news services offers access to online publications. 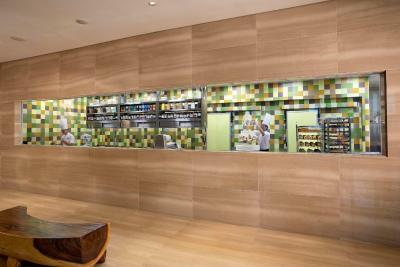 Guests can approach the 24-hour front desk for currency exchange, luggage storage and concierge services. Guests can enjoy a relaxing massage or facial at the spa. 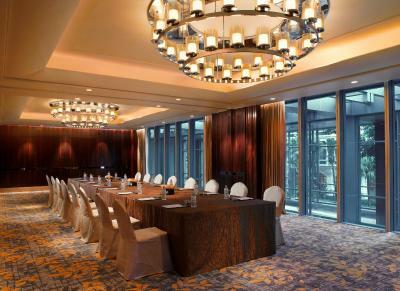 Meetings and events can be hosted in function rooms available. A business center allows guests check their emails while meeting facilities are available upon request. 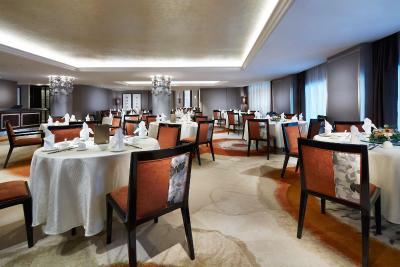 The award-winning Wah Lok Restaurant features award-winning fine Cantonese dishes, while Café Mosaic offers all-day dining of International cuisines and local favorites. 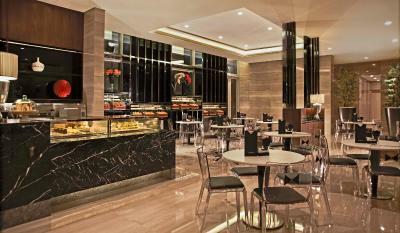 Enjoy freshly-baked pastries together with a cup of coffee or tea at Tuxedo Café and Pâtisserie. 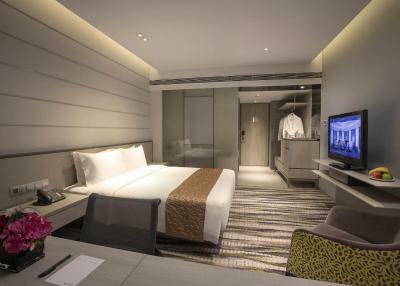 When would you like to stay at Carlton Hotel Singapore? 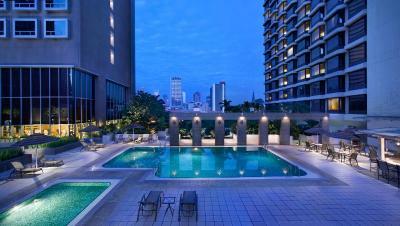 This air-conditioned executive room opens up to views of the city, swimming pool or the bay. The seating area is fitted with a flat-screen Internet Protocol TV (IPTV), a mini-bar and a safe. The room offers a work space with a Herman Miller chair. The open-plan private bathroom includes a bathtub, separate shower facilities and free toiletries. Guests enjoy complimentary use of a personalized smartphone that provides 4G mobile internet, local calls and calls to selected international countries. PressReader, an e-news services offers access to online publications. Beds are equipped with a Sealy Posturepedic mattress and down feather and microgel pillows. This elegantly-styles room opens up to views of the city or the bay. 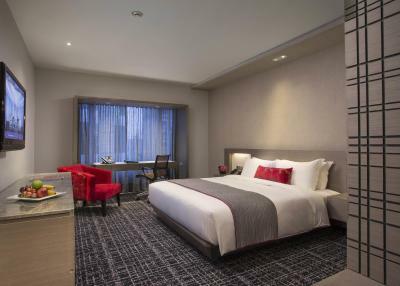 Each air-conditioned room comes with a Sealy Posturepedic mattress with soft duvet covers and ergonomic furniture, which includes a glass table and Herman Miller chair. 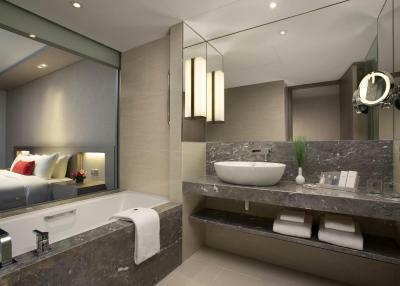 The en suite glass-and-marble bathroom includes a separate standing rain shower and bathtub. Premium toiletries, bathrobes and slippers are provided. Guests enjoy complimentary use of a personalized smartphone that provides 4G mobile internet, local calls and calls to selected international countries. PressReader, an e-news services offers access to online publications. 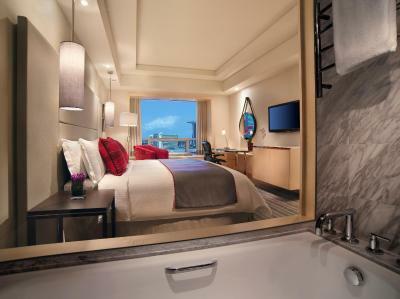 Located in the Premier Wing, this contemporary-style air-conditioned room opens up to views of the bay, city or swimming pool. It is fitted with a flat-screen Internet Protocol TV (IPTV), a mini-bar and a safe. The room offers a work space with a Herman Miller chair. 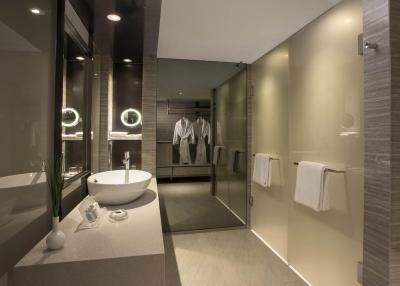 The open-plan private bathroom includes a bathtub, a separate standing shower and free toiletries. Tea/coffee facilities and ironing facilities are available. Please note that Hotel Club Lounges are reserved for guests aged 17 years and above during evening cocktail hours. A dress code is required. Please contact the property directly for more information. 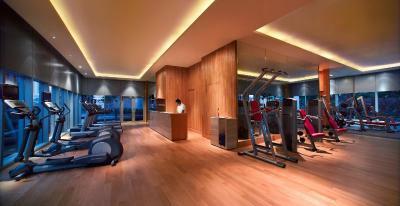 This air-conditioned room opens up to views of the city or the swimming pool. The seating area is fitted with a flat-screen Internet Protocol TV (IPTV), a mini-bar and a safe. The room offers a work space with a Herman Miller chair. The open-plan private bathroom includes shower facilities and free toiletries. Guests enjoy complimentary use of a personalized smartphone that provides 4G mobile internet, local calls and calls to selected international countries. PressReader, an e-news services offers access to online publications. 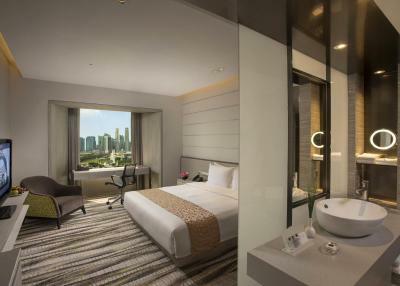 Featuring contemporary-style interiors with clean lines and neutral hues, this individually-controlled air-conditioned room opens up to views of the city or the swimming pool. The seating area is fitted with a flat-screen Internet Protocol TV (IPTV), a mini-bar and a safe. The room offers a work space with a Herman Miller chair. The open-plan private bathroom includes a standing shower and free toiletries. Tea/coffee facilities and ironing facilities are available. 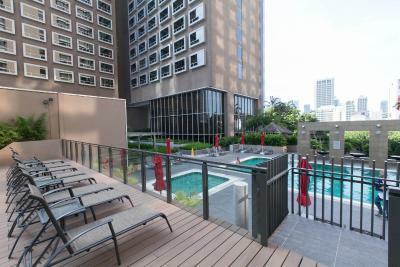 This individually-controlled air-conditioned executive room opens up to views of the city, swimming pool or the bay. The seating area is fitted with a flat-screen Internet Protocol TV (IPTV), a mini-bar and a digital safe. The room offers a work space with a Herman Miller chair. The open-plan private bathroom includes a bathtub, a separate standing shower and free toiletries. Tea/coffee facilities and ironing facilities are available. This air-conditioned room has city or pool view. The seating area includes a flat-screen TV and there is a work space. The private bathroom offers shower facilities. Guests enjoy usage of PressReader and a smartphone with internet, local calls and calls to selected countries. The third person is provided with a rollaway bed. 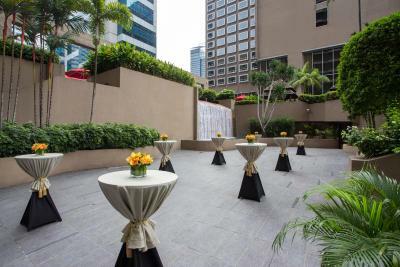 House Rules Carlton Hotel Singapore takes special requests – add in the next step! Carlton Hotel Singapore accepts these cards and reserves the right to temporarily hold an amount prior to arrival. 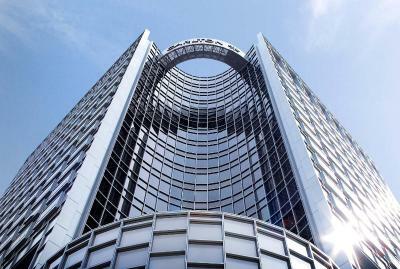 Please inform Carlton Hotel Singapore of your expected arrival time in advance. You can use the Special Requests box when booking, or contact the property directly using the contact details in your confirmation. Nail salon was a bit overpriced. Location was good. Breakfast was excellent though priced at the high end. Beds very comfortable, good pillows. Excellent quiet air con. Cocktails in the bar did not match those in Raffles! Window view was Good . Room decoration is comfortable , eye comfort . Great location, friendly staff, very spacious and nice room, complimentary smartphone is a very clever idea, helped us to navigate through the city. kettle in the room was dated .need to upgrade to a more modern one! 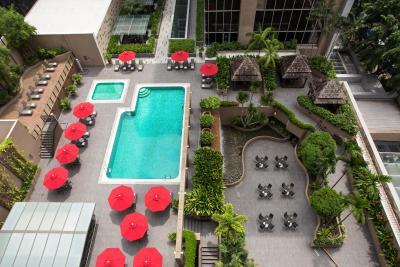 Hotel is located close to MRT and opposite the famous Raffles hotel and Raffles Mall.Rooms are very spacious ,bed was comfortable.Staff very polite and friendly. Excellent location, room condition. Thank you for upgrading both of our family rooms to premium free of charge. All services were good and smooth. Staff just couldn’t do enough from being met at door by bell-hops to having suitcases delivered to room. Lift only used with card so no-one could access bedrooms without one. Food excellent and the whole ambiance outstanding. Member of staff at door to organise taxi and told driver where you were going so no difficulty in getting to your destination for the day. Gardens at the bay and Marina Sands Hotel within walking distance. 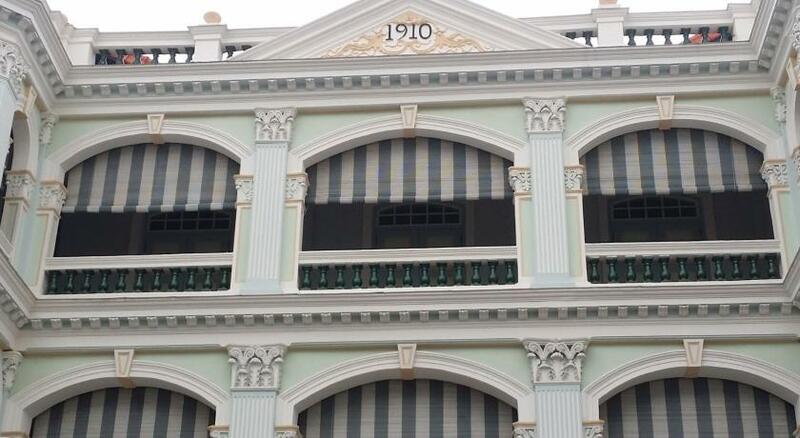 Raffles Hotel and Singapore Sling just across the road, Chijmes across the road and so many eating places within Chijmes that you are spoilt for choice. Upgrade to Premium was good value especially as it allowed us immediate access to our room at 9.30 am after overnight flight.